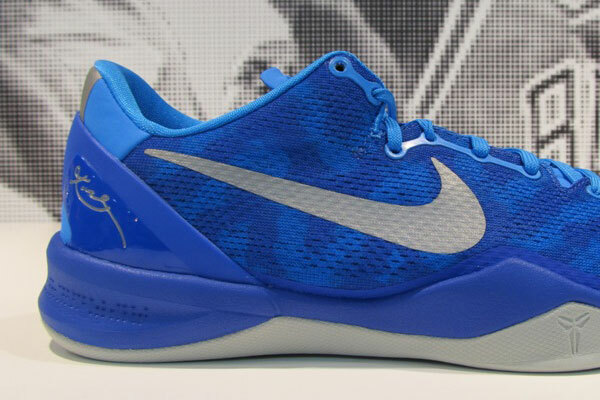 Nike Kobe 8 "Blue Lights"
The Nike Zoom Kobe 8 series is coming in strong for the New Year with this weekend’s All Star release and an entire line up of “Year of the Snake” inspired colorways. 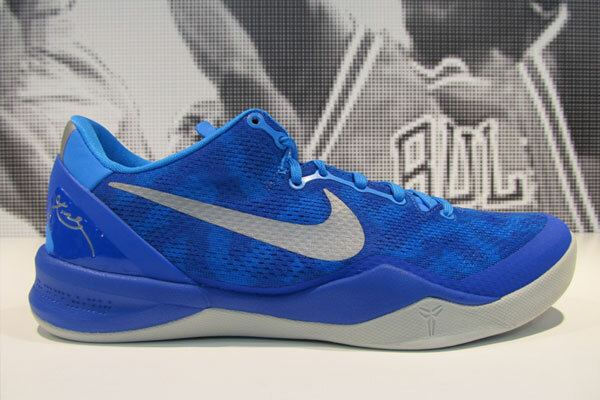 Aside from the special make ups, is a simple colorway for those that like to rock kicks that coincide with their uniforms. Seen here is a TB make up, wrapped in Blue Glow and Strata Grey displaying a camouflage image on the uppers. These Joints release on the 23rd so let us know if you’ll be scooping them up.